Milk dominated my week, and with good reason. There’s a great deal of innovation going on in milk, in particular flavored milk. In fact, I just spoke at two California Milk Advisory Board processor meetings and explained that fluid milk truly is the most underdeveloped dairy foods category in the U.S. There’s so much potential, especially in flavored milk and nutritionally enhanced milk. When researching an article on flavored milk for Food Business News--to publish next week, I will share link in next week’s blog--I collected more information than space would allow for a print publication. Thank goodness for digital. I will share some of that with you now. For starters, if you missed the “Milk and Other Dairy Beverage” edition of the Daily Dose of Dairy Live! at the International Show, you can link HERE to view the presentation. You can also view and read details about the many new milks and flavored milks introduced the past few years by linking HERE. For the same detailed information on dairy-based beverages, link HERE. Also, an industry friend, Jim Dickrell, editor of the farmer-focused publication Dairy Today, recently wrote about innovation in the milk segment, giving farmers hope...and also informing them that growth must come from innovation and new products…not the white stuff. You can read his blog HERE. In case you were unaware, Wednesday, September 30, was World School Milk Day, a global event organized by the Food and Agriculture Organization of the United Nations and celebrated on the last Wednesday in September. In its 16th year, the event has grown to become an annual celebration in more than 40 countries around the world with continued growth each year. The FAO’s goal is to provide a particular day when attention is focused on school milk and to have all countries celebrating on the same day. The end of the month was selected to allow countries sufficient time to prepare for this day, as in most of the countries surveyed the school year starts in early September. Wednesday was chosen as it was a school day in all countries. For more information, visit HERE. The celebration is designed to promote the importance of drinking milk at school to children in a fun, memorable and educational way. Dairies that provide milk to schools, as well as dairy councils/associations across the country provide schools with materials to celebrate this special day. 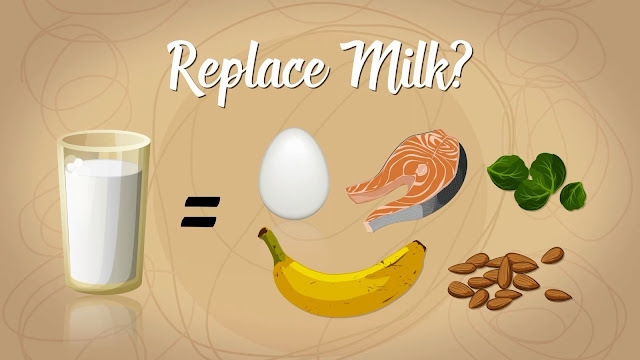 Did you ever wonder what it would take to replace a single serving glass of low-fat milk? Watch this VIDEO produced by the International Dairy Foods Association and narrated by school children showing how hard it really is to match the nutrient powerhouse of milk. The video highlights the importance of school milk and is designed to assist with gathering support for the School Milk Nutrition Act of 2015. 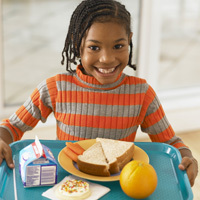 This bill revises the requirements for milk provided by the National School Lunch Program (NSLP) and other USDA programs. The bill amends the current National School Lunch Act to require the milk offered to students participating in the NSLP to include low-fat flavored milk containing no more than 150 calories per 8-ounce serving. To read more, link HERE. If the bill becomes law, as most in the industry are hopeful it does, milk processors will have “wiggle room” with formulating more delicious flavored milk for schools, ensuring kids drink it and don’t dump it. There are nine essential nutrients in milk, but kids are drinking less milk today--even in schools--than their parents did when they were kids. We need them to drink their milk. To read “Fluid Milk in School Meals Programs,” a publication from the National Dairy Council, link HERE. On school milk day, the International Dairy Federation published a comprehensive (200-plus pages) report on school milk programs in the Americas, Asia, Africa, Australia and Europe. The survey gathered a large amount of information on consumption, program structure, nutrition, promotion, packaging, market value, administration and distribution for 60 school milk programs. You can download the report HERE. Lowering the sugar content of flavored milk intended for school programs, the ala carte line and retail, continues to be a priority for most processors, as is keeping labels as clean and simple as possible. Flavored milk formulators have a number of ingredient technology tools to work with that keep labels clean while lowering added sugars. This includes lactase enzyme, which breaks down lactose—milk’s inherent sugar--into its constituent monosaccharides, glucose and galactose, which are sweeter than lactose. There are also natural high-intensity sweeteners, including stevia and monkfruit, as well as select fiber food ingredients, namely chicory root inulin, that can assist. Here’s something to consider. There are four essential nutrients that are under-consumed by Americans, according to the Dietary Guidelines. They are calcium, potassium, vitamin D and fiber. The first three are inherently present in milk. If fiber ingredients could be used to assist with lowering sugar at the same time contribute fiber to the diet, it’s a win-win for everyone. Chicory root fiber inulin can directly replace sugar, corn syrup or other sweetener, with reduction benefits experienced at use levels of 2% to 5%. When high-intensity sweeteners are part of the formulation, inulin fiber helps mask off flavors, even those associated with stevia. Denmark’s Arla Foods uses a combination of ingredient technologies to produce a number of flavored milks with a 50% reduction in sugar. 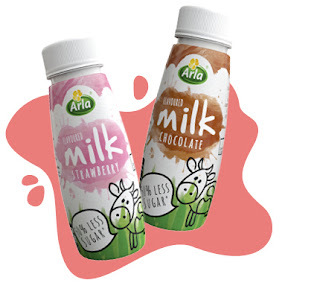 Available in single-serve bottles and shelf-stable boxes, Arla uses a combination of filtration, lactase enzyme and/or chicory root inulin to provide a milk with only 4.6 to 5.0 grams of sugar per 100-milliliter serving. A serving also contains 0.5 grams or less of fat, 3.5 to 3.7 grams of protein and nearly 2 to 3 grams of fiber. Let’s keep kids drinking milk. And let’s invite their parents back to the category as well. Nutritional enhancement and/or improvement (lower added sugar) invites adults back to the milk category.